A more fashionable GoPro. That’s a descriptor I wasn’t expecting to use anytime soon, but it’s more or less what Ubiquiti Networks has created with its new Front Row camera. 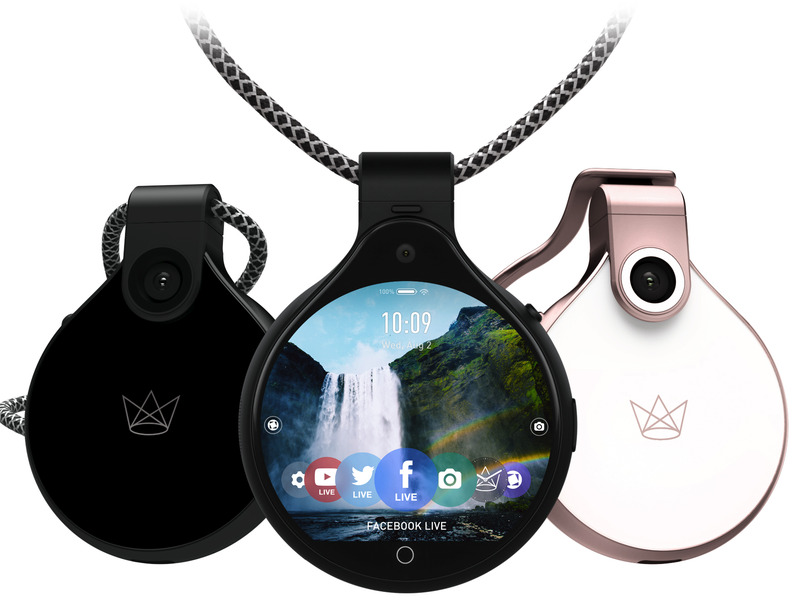 Announced on Tuesday, the Front Row is a miniature wearable camera designed to capture, stream, and share whatever it is you’re doing without needing your smartphone. 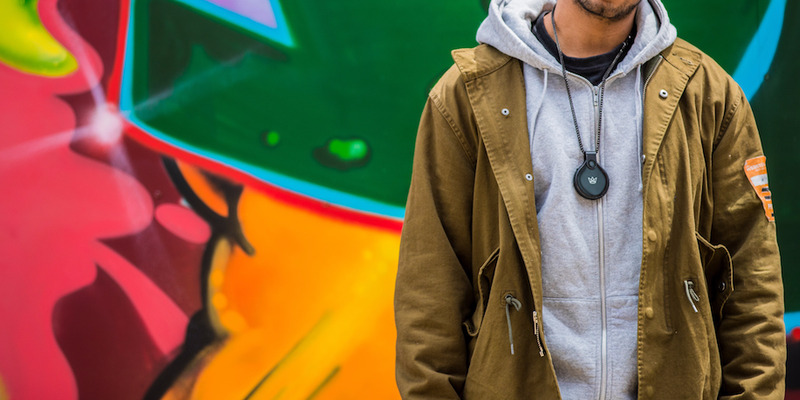 It’s primarily meant to be worn with a lanyard around your neck, though it also comes with a clip that can double as a small stand. 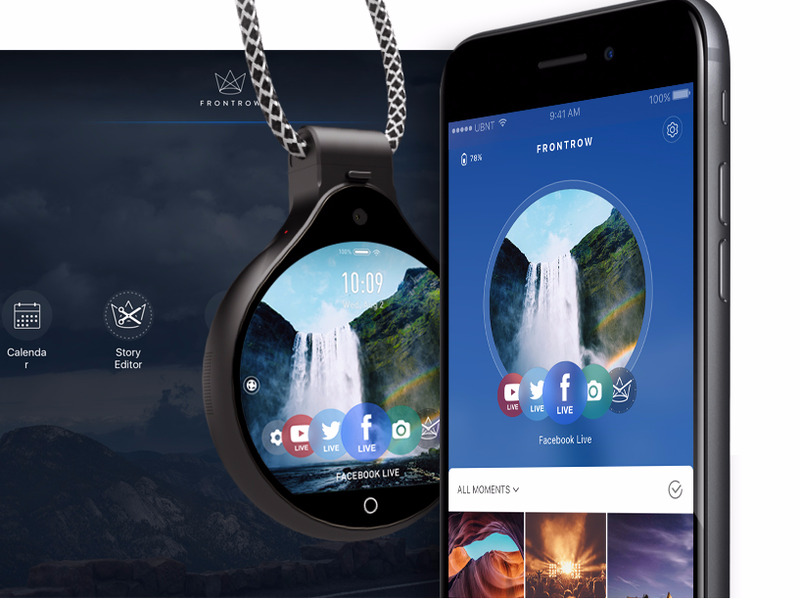 From there, the device can snap photos or livestream your day through Facebook, YouTube, or Twitter. Ubiquiti also has a tool called "Story Mode," which the company says will automatically capture photos every 3-10 seconds for up to 16 hours at a time. It’ll then sort those snapshots of your day into a sort of time-lapse video. It’s like a body cam blended with Snapchat’s "Stories" feature. An 8-megapixel main camera and 5-megapixel front camera. The former has a 148-degree wide-angle lens and can stream video up to a 1080p resolution at 30 frames per second. 32 GB of storage space. There’s no microSD slot to expand the storage, however. All of that comes in a monocle-shaped, water-resistant chunk of glass and metal that runs a customized version of Android called Front Row OS. The device supports only Facebook, Twitter, and YouTube as third-party apps right now, but Ubiquiti consumer products director Joe Santucci says the company plans to build out its portfolio in the future. UbiquitiThe device transfers images to your phone through a companion app over WiFi or Bluetooth; that app also contains editing tools for trimming down videos. It can link up to a Dropbox account and automatically toss images there, too. It also costs $400. That’s a lot! I was able to test out an early version of the Front Row in June. (The device was delayed for a couple of months.) The whole thing felt fast and well-constructed, and it certainly doesn’t look as gaudy as it could. At roughly 55 grams, it didn’t feel like an anchor around my neck, either. The interface is as simple as it gets: You can swipe one way to open the camera, swipe the other way to go to your gallery, or scroll through a little carousel of apps on the home screen to start up a livestream. It’s worth noting that the three apps here are not Facebook, Twitter, and YouTube proper, just variants focused on livestreaming. The idea, Santucci says, is let people who want to share their lives do so without facing the notifications and other distractions of a smartphone. If you’re familiar with the failed Beme app from YouTuber Casey Neistat, the gist is similar: You just live your life and let the Front Row capture it for you. Hopefully it’s interesting. UbiquitiIs this worth $400? Not for most. Santucci says the Front Row is "definitely for people who are sharing socially multiple times per day," but that Ubiquiti thinks there’s a market for those who use a GoPro to share their lives that’d be better served with something easier to wear and use. The move is a curious one for Ubiquiti, an established company best known for providing enterprise networking equipment. Front Row is a new team within the firm’s Ubiquiti Labs consumer products division, which until now has focused on making mesh WiFi systems. For those with fewer resources, a secondary device built explicitly for social media is a tough sell. Ubiquiti’s aim of making a purer sharing tool is interesting, but it’s not the first to make the "lifelogging" pitch, and most of those predecessors have bombed. That’s not to mention the potential creepiness of openly filming everything around you. It’s also too soon to judge the Front Row’s camera quality.